Bangkok weather may not be the warmest in the world every day but, overall, it is unrelenting simply because it doesn’t cool at night. The two periods – April to May and September to October – are the most humid. The southwest monsoons arrive between May and October bringing unsettled, cloudy conditions. For many people, this is a welcome respite. Restored Beauty Getaways collaborate with the Flight Centre team to offer the most competitive travel packages, tailoring flights and accommodation to suit your budget, itinerary and preferences. We’ve listed recommended hotels in Bangkok, but you’re welcome to nominate your preferred hotels. Offering luxurious and spacious premier serviced apartments complemented with comprehensive services and facilities. This residence property is ideal for the Medical Tourist providing International dining venues and entertainment outlets on the premises. Choose from 177 apartments that range from the Studio Premier to the Three-Bedroom Executive. Every apartment has floor to ceiling windows which allow for natural light and spectacular views of the city. Designer furnishings, modern amenities and the comforts of home are provided in every apartment. 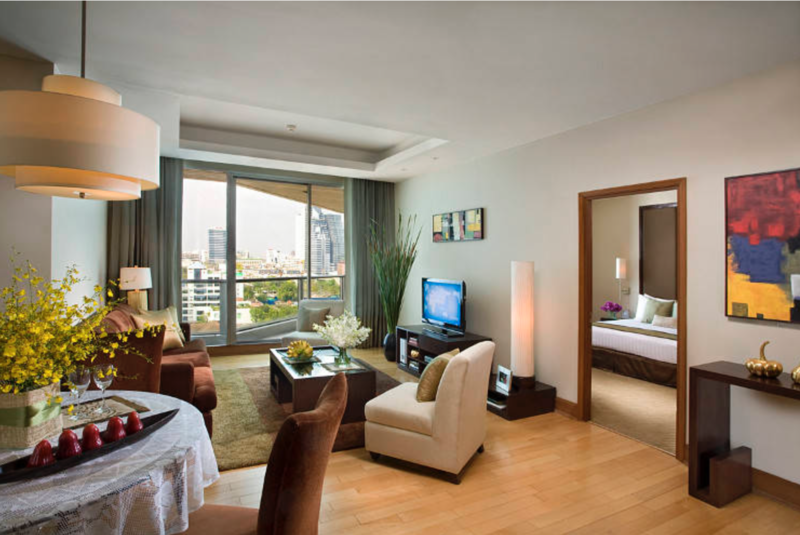 The hotel is located in one of Bangkok’s prime central areas – on Asoke Road (Sukhumvit Soi 21). It is adjacent to the subway and skytrain stations: Only one- stop by subway to the Queen Sirikit National Convention Centre and again a ‘one – stop’ by skytrain to the Emporium Department store. The hotel is a mere 30 minutes drive away from Bangkok’s new Suvarnabhumi Airport. Located in the renowned Pratunam area, the brand new Centara Watergate Pavillion Hotel Bangkok offers a new take on the City of Angels. Seamlessly connected to Watergate Pavillion Shopping Mall, the hotel offers 281 rooms and suites designed in a light, modern, and inviting décor with all amenities you require at your fingertips to ensure a comfortable stay. This perfect location in the heart of Bangkok is where modern and dynamic lifestyle blends together with historical Bangkok and where luxury shopping and everyday fashion meet. With major renovations now completed, The Landmark has reaffirmed its position as one of Bangkok’s most enduringly popular hotels. Part of that success is due to its convenient location on lower Sukhumvit Road in central Bangkok, close to Nana station on Bangkok’s Skytrain system, and easy access to all the important expressways. The hotel is also within easy distance of the main business, shopping and entertainment.